A production of Romeo and Juliet was organised by our activities coordinator, who summarised Romeo and Juliet into a short story. We performed it in the Fernwood Unit garden. The actors were a mixture of therapy and care staff and a junior physiotherapist accompanied the play with keyboard and singing. The props had been made by residents in activities groups leading up to the date of the play. 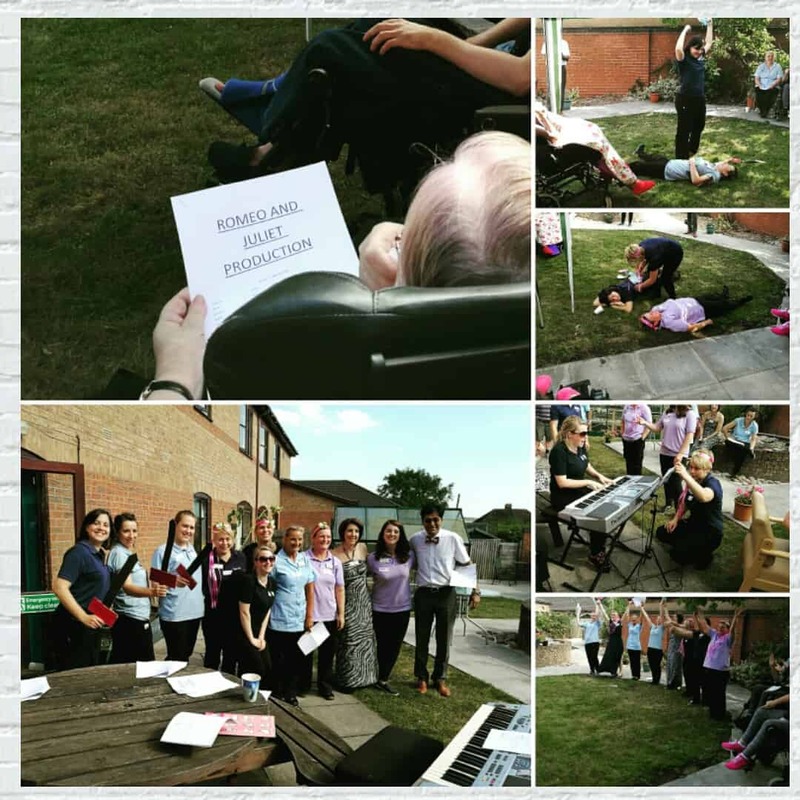 It was so well received with residents, their families and staff smiling and laughing…. Even though Romeo and Juliet isn’t supposed to be a comedy! We are hoping to make this a regular event.